An immaculate and charming building in the Village of Saugerties - beautifully updated and lovingly maintained. There are endless possibilities for this former auction house which currently is home to a chic and very successful vintage/consignment home shop in its 3000+square ft. retail area. 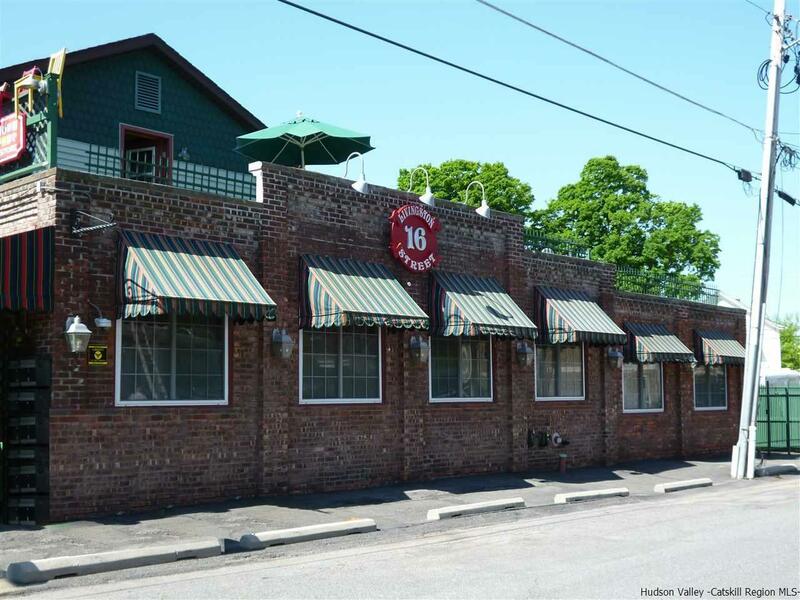 Additonally there are 5 of the nicest rental apartments I've ever seen in Ulster County, all with updated kitchens, their own full sized washers and dryers, central air, ice makers, garbage disposals, and renovated baths. The large loft retail space lends itself to any business imagineable. It would make a great restaurant, coffee shop, laundromat, gallery, spa, salon, artist's co-op, yoga/fitness studio. The sky is the limit. Work and live in the same building, with 5 or 6 units of rental income to offset expenses. ALL of the renovations and upgrades have been done - ready for you to start your own creative vision. The retail space could be reconfigured with an additional store front or office space on one side, or convert back to a large 2 or 3 bedroom 2.5 bath living unit. SO MANY POSSIBILITIES. Saugerties is a vibrant Village with Esopus Creek and Hudson River access, attracting many NYC residents both full time and for weekends to the Hudson Valley for an easy lifestyle and picturesque surroundings. Weekly farmers' markets, HITS horse shows attracting world class competitors and high stakes purses, great restaurants and emerging artists plus historical charm and character. Easy access to the NYS Thruway and only 100 miles to NYC. Close to Kingston, Woodstock, Catskill, Rhinebeck and Hudson. #Escape Brooklyn and invest Upstate!